Mahindra and Mahindra launched the new Mahindra Bolero in September 2011 and it has worked wonders for M&M. In the past financial year 2011-12, Mahindra Bolero, one of the most affordable compact SUV in India, has sold over 1 lakh units which is best ever sales of Bolero in India. In the year 2011-12, Bolero sales grew by 21% compared to the previous Fiscals sales which stood at 83,112 units. 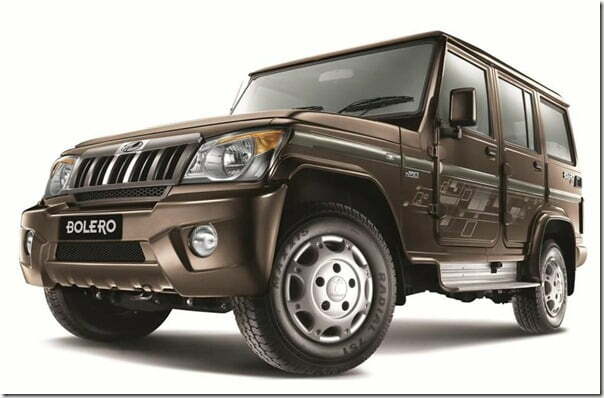 In March 2012 only, Mahindra sold over 10,000 Boleros which is the highest ever monthly sale for it since the launch. This has brought Mahindra Bolero to 7th position in the top selling passenger vehicles in India up two positions from its 9th position in the year 2010-11. Interestingly enough, Bolero is the only SUV in the top 10 selling passenger vehicles in India. Mahindra and Mahindra is expanding its presence in the Indian SUV market right from the high value for money products like the Mahindra Bolero, some solid off-roaders like Mahindra Thar which has been recently launched with Air-conditioning as standard, to Mahindra Xylo 2012 new model which has got many feature and cosmetic upgrades which makes it one of the best value MPVs in the segment. Mahindra Scorpio has also been there in the segment of powerful SUV at an affordable price tag of close to Rs. 10 lakhs. To cater to the needs of more demanding customers, last year M&M launched its one of the most advanced and loaded SUVs, the Mahindra XUV500 in India which is highly awarded and appreciated car in the price segment. It comes with oodles of space, road presence and features which give other SUVs a run for their money. The future seems quite promising for M&M if they keep coming up with refined and improved products like they have come up with. Do sign up for our free email newsletter for latest updates and like our official Facebook Page.